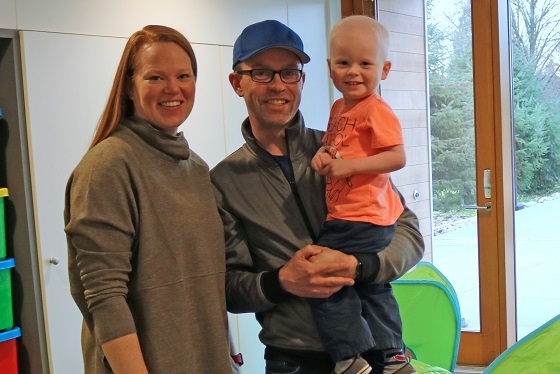 When Adam and Kristen Ireton took their 3-year-old son Weston to the doctor one August day, they expected to get some antibiotics and go home. Instead, they were told to pack a bag. Weston had leukemia and they needed to fly to Vancouver that day. 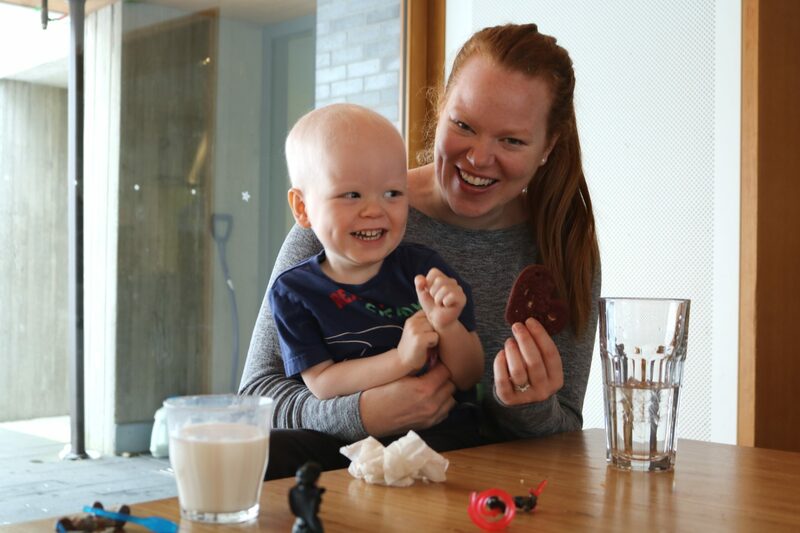 In Vancouver, the family learned that they would need to juggle months of treatment with caring for Weston’s older brother Beckett, making arrangements for the family dog, and running their business back home in Port Hardy – far from home and with only what they could fit in a suitcase. After four days in an airport hotel, they were able to check in to Ronald McDonald House, a place they had never expected to see firsthand. Adam remembers that that’s when it hit him – this was real, and they were here for the long-term. Early in Weston’s treatment, the family was able to commute back and forth every 10 days. However, since December, Weston has been undergoing more intensive treatments that mean he has to stay close to the hospital. Currently he spends one week at RMH with mom, one week with dad, and one week with the whole family for some much-needed togetherness. Sometimes, grandma also comes to stay and help out. 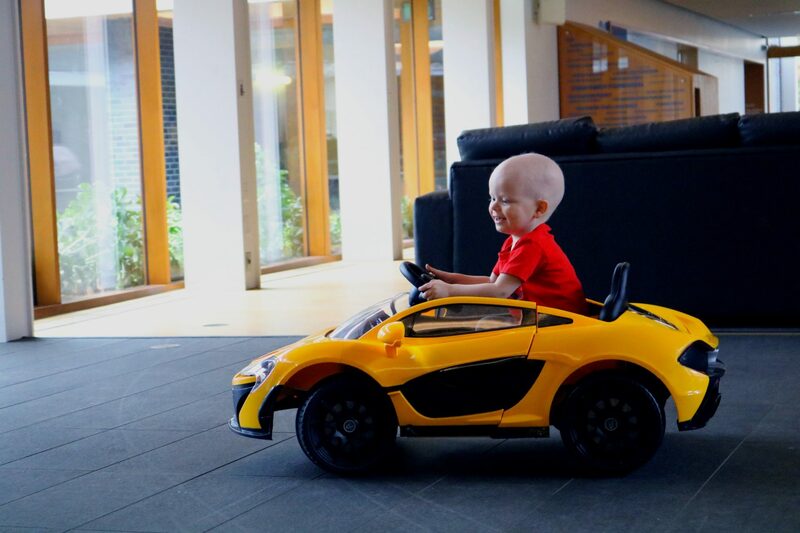 For Weston and Beckett, the House is a place where they can take a break from the hospital and just have fun as a family. “We spend half our lives in the toy room,” says Adam. He looks at Weston and asks, “Where do you want to go next?” “Toy room!” exclaims Weston with a grin. Weston’s favourite toy is the kitchen set in the playroom, while Beckett loves to hang out by the big yellow slide and the Lego Lounge. 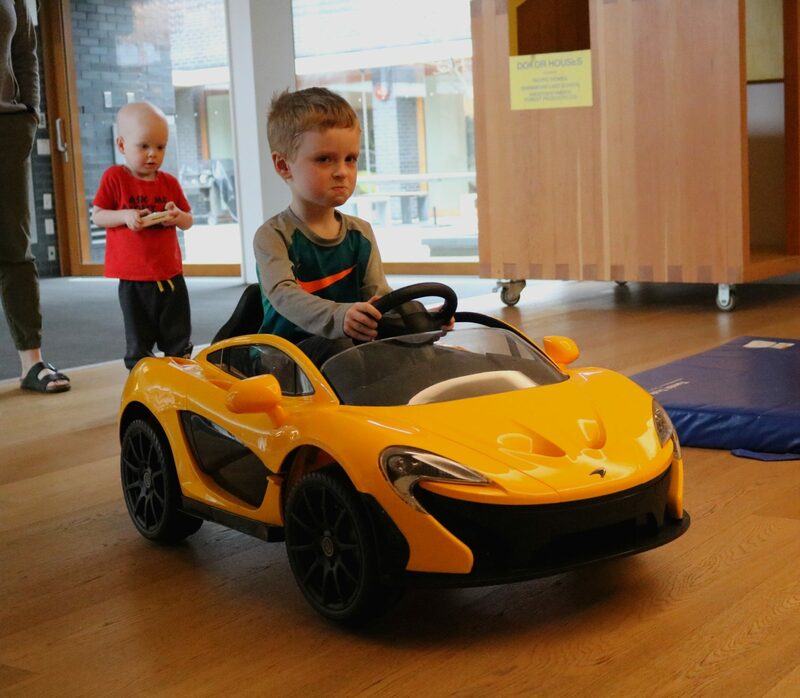 Both boys love the art and music programs and taking the House’s mini McLaren car for a spin. Meanwhile, mom and dad love the retro arcade games! Thanks to you, kids like Weston and their families can stay together. Donate today and keep a family like the Iretons close.